With 200 million active users, and over 9000 snaps shares every second, Snapchat is taking social media by storm. As a brand, specially, to connect to younger audiences, you really need to get on Snapchat and use it connect and engage your audiences. McDonald's and KFC were quick to get on board with branded filters. Pepsi also got in on the act early, creating a ‘Chelfie’ filter, transforming snappers into cheeky cherry faced cherubs. These days, 'Geofilters' are upping the content ante. Only available for Snapchat users within a set radius and for a set amount of time, they can be specifically targeted and run in parallel with wider PR campaigns. As well as filters, brands are also creating stories of popular events, often adding branded content between snaps. Snapchat makes brand 'advertising' more integrated and natural: rather than a ‘hard sell’ – and Snapchat audiences resonate to that. Snapchatters tend to ignore the "branded experience" for the most part. Don't re-purpose your existing social content for Snapchat. Your content should be fresh, created for Snapchat and keeping the user in mind. Audience and Customer Insights is your First Step in Digital Marketing. Offers and Promotions work really well on Snapchat. 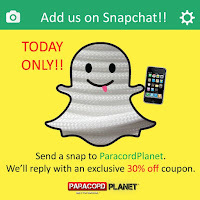 Brands send snaps of offers: the audience can take a screen shot, and use them either in store or online. It's easy to measure the success of a campaign by how many people used the snap or the code. The instant here and now nature of Snapchat incentivises your target audience to shop right away. 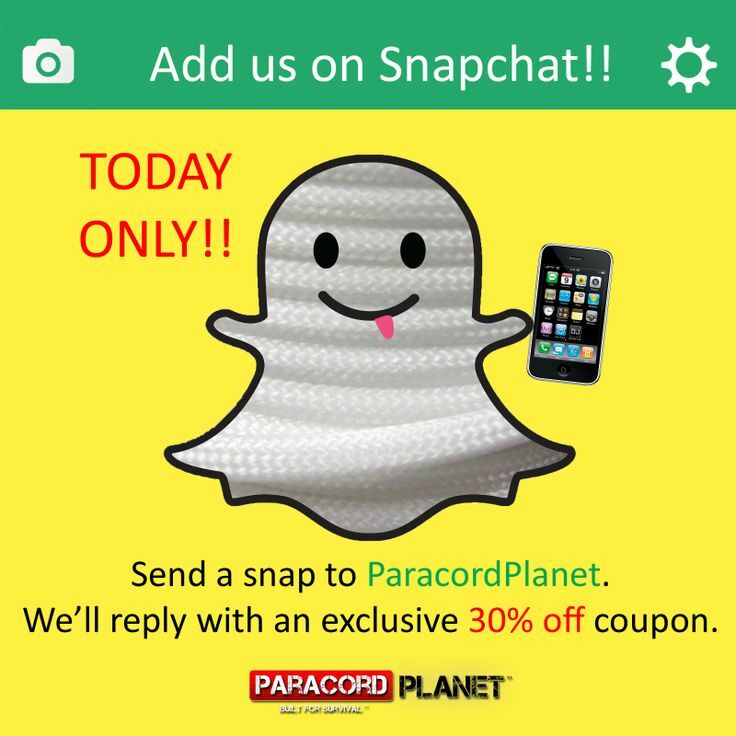 A call-to-action like “20% off today only!” or “Screenshot this snap and present it at the register for $2 off every sandwich.” works well. These enticing offers encourage your customers to shop while making them feel like they have a unique advantage and that they're special. You can create a sense of expectation by sending teasers. Today's younger audiences love content they haven't seen, or when you create anticipation of what's to come. It's the reveal factor that engages them. Teasers on Snapchat create a buzz around new products and new ideas, and can be a great way to get customers engaged before a launch. Brands can also do offer teasers, revealing , say, a code or discount at the end of the story. Today, content marketing on social is all about brand story telling. By using ‘My Story’ brands can add snaps or videos that are visible to users for 24 hours. This format gives you the opportunity to share a creative and engaging message. Brands often create a succession of videos (each 10 seconds long), and create a ‘multi-story telling’ effect. This is a great way to get your brand’s message across in a more unique and interesting way. Snapchat is all about the fast and the immediate. The ability to see something just once, and for a short period of time, clearly adds to the fun of Snapchat. Since your snaps can only be 10 seconds long, which is a considerably short window to capture the customers’ attention and effectively deliver your message, you really need to sit down and think about what exactly it is you want to push in front of them. This is why it's important that your content adds value and is useful and memorable. 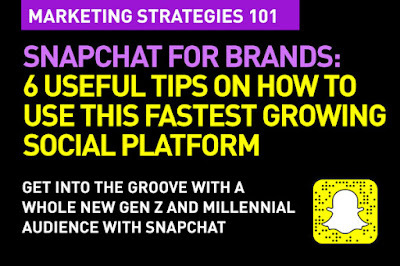 Snapchat is a great way to have your audience interact with your brand product. This is a great way to keep your Snapchat audience engaged. Try regular competitions, contests, unique to Snapchat product sneak peaks, coupons. Do this on a specifically timed basis "Fun Fridays" could mean, that's the day you give away clues to a freebie. Sending “Snaps” around special promotions or events should help drive traction, especially if you include an exclusive coupon or freebie. Or, get your audience to send in snaps of them doing various things with your product. That's great user generated content. These can also be reused as other pieces of social content on other platforms as well. Snapchat ‘filters’ or ‘lenses’ are stickers, frames, images and movement sensitive animations that can be layered over your images or videos. Snapchat has added cool filters to make images more fun. Location filters, for example, change depending on where you were, with each place having it’s own fun, and contextually relevant filter. You can be creative with location specific campaigns and micro-target audiences – making content more relevant to them. Most brands today have not been using Snapchat because their marketing teams do not understand how to use this new medium. Some get their advertising or social media agencies to work on Snapchat, but because Snapchat is so much about immediacy, that often that effort loses its value. Also, the 'insider' information aspect does not work too well, when the posts are being done by someone else. Yes, Snapchat is indeed a fastest growing social media platform, it will be a great strategy if a good digital marketing company will use it in their SEO Campaigns. It will really help in enhancing their online presence. Thanks for such a useful information.